While everyone knows that smoke detectors are necessary in a home, many of us forget about them after installation… until the low battery chirp starts up in the middle of the night. When the batteries expire, you just replace them, but what is a smoke detector life span, and how do you know when that life span is up? 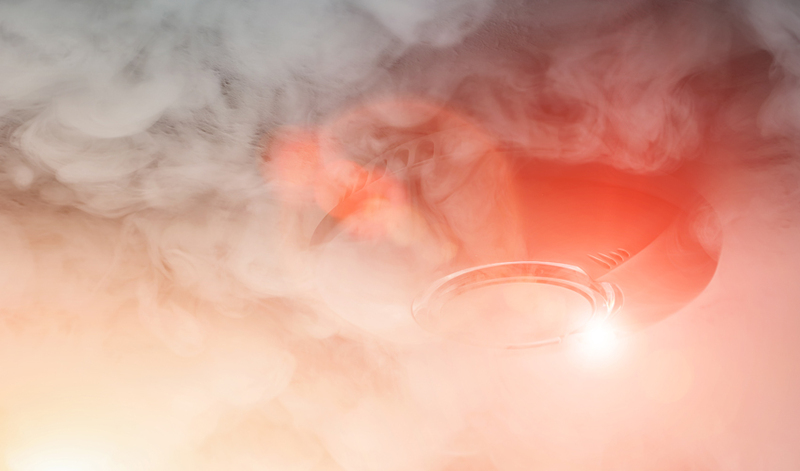 The National Fire Protection Association (NFPA) reported that three of every five residential fire deaths happened in homes without smoke detectors or with non-functioning smoke alarms. Therefore, it is vital to equip your home with functional smoke detectors. The NFPA’s Fire Alarm Code states: “Replace all smoke alarms, including those that use ten-year batteries and hard-wired alarms, when they are ten years old or sooner if they don’t respond properly when tested.” A standard smoke detector life span is ten years. If the smoke detector fails to respond to tests or is ten years old, it should be replaced. Regular testing is the first step to ensure your smoke detector is still in its prime. Test your smoke detectors once a month. 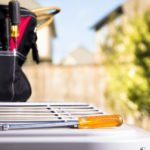 If they’re battery-operated, make sure to change the batteries at least once a year, even if the testing shows that everything is functioning. This will help you avoid being woken up at 3 a.m. by an annoying battery chirp. It will also help you avoid the worst-case scenario – not being alerted that there’s an actual fire. Install a smoke detector on every floor of your home along with a carbon monoxide detector. Carbon monoxide detector batteries need to be replaced every six months and have a life span of five years. Since they’re more sensitive, make sure carbon monoxide detectors aren’t installed in your garage. Also ensure they’re a reasonable distance away from appliances and any fuel-burning heat sources. Life gets busy, so it’s a good idea to create a monthly calendar reminder to test your smoke detectors. Stock up on batteries for smoke alarms and carbon monoxide detectors so you’re not frantically searching for them when they need to be replaced. After an initial inspection of the smoke and carbon monoxide detectors in your home, contact Stafford Home Service to learn more about the different brands we carry. We are happy to walk you through the different functionalities and wire options available to you. 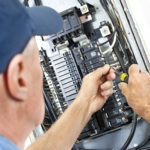 We are also experts on the inspection and installation process.